Again we were admiring the different statues on the Musee du Louvre and the Aile Henri II, which is located in the 1st Arrondissement of Paris, when we took these high definition photos showing the statue of Andre Gretry by Victor Vilain. 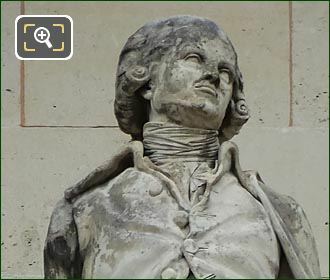 So we took this first HD photo from the Cour Napoleon courtyard showing the stone statue of Andre Gretry, which is positioned as the second statue from the left hand side on the facade of the Aile Henri II wing on the first level balustrade. Now this was produced by Nicolas-Victor Vilain, normally just known as Victor Vilain, who was born in Paris on 3rd August 1818, and becoming a French sculptor he won the Prix de Rome in 1838. 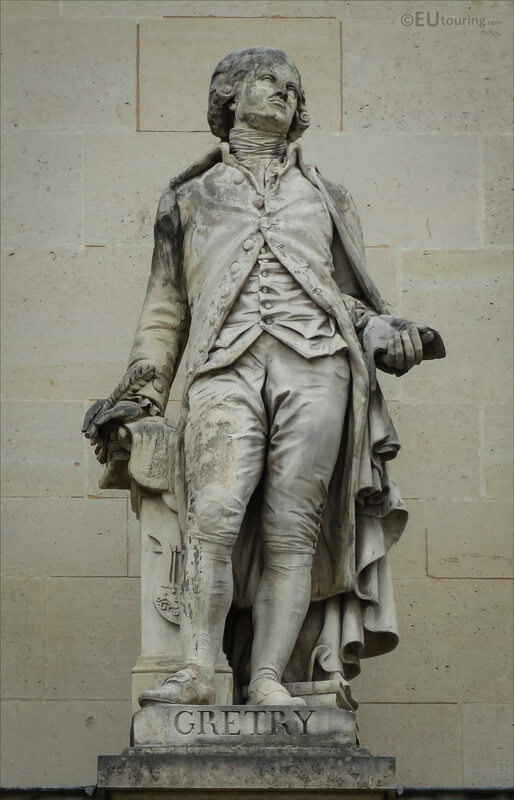 Vilain regularly exhibited at Paris Salons and received numerous commissions by the city and by individuals, which included several ornamental works for The Louvre including this statue of one of the famous men in French history, and after a long successful career, he passed away in the March of 1899. 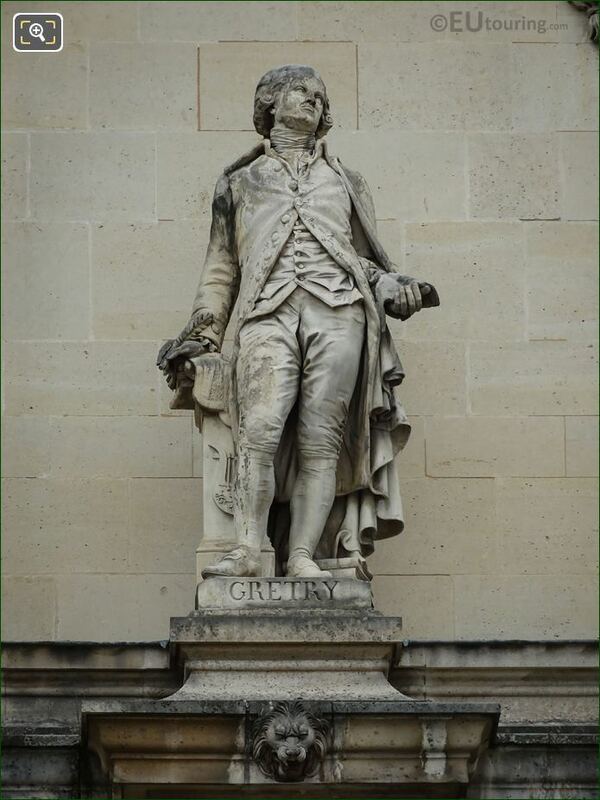 And in this last image you can see the plaque at the base of the statue, which is dedicated to Andre Ernest Modeste Gretry who was actually born in Liege, Belgium in February 1741, and following in his fathers footsteps being a musician, Gretry became of a composer. 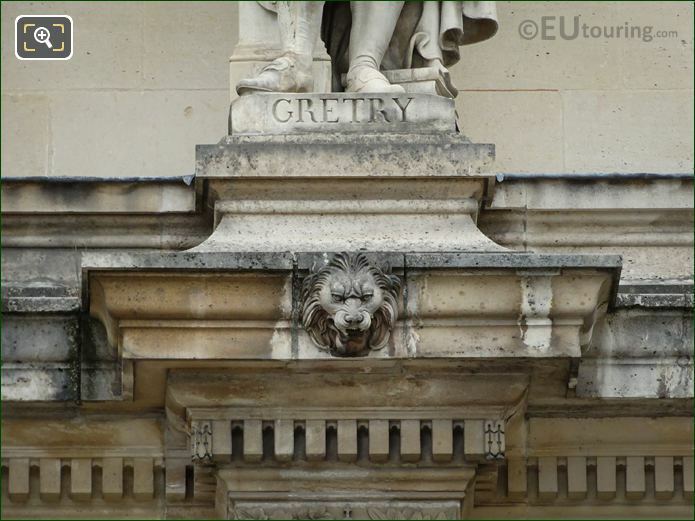 But from 1767, after previously being introduced to French comedy opera while in Rome, Andre Gretry then moved to France and took on French nationality, becoming famous for his operas comiques, and composing around 50 operas, his masterpieces are classed as Zemire et Azor first produced in 1771 and Richard Coeur-de-lion produced in 1784.